To complement the best vending machine selection in the vending business we are proud to present our vending refills selection. We strive to bring you one of the largest selection of vending product refills at the best prices you can find in the vending industry. 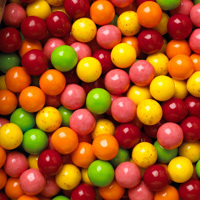 Currently our bulk vending refills selection includes gumballs, bulk candy, bouncy balls, and jawbreakers. Our vending refills is guaranteed to be fresh and of the highest quality. Home of the biggest and freshest gumball selection Rhino Vending is proud to fulfill all your vending needs. We carry bulk gumball refills that cater to all your gumball machines. With our smaller size gumballs you can refill your antique gumball machines or candy machines. Use the standard 1 inch gumballs for your gumball machines and check our larger size 2 inch gumballs that can vend from the rhino capsule and toy vending machines as well. Our selection includes the standard assorted and gourmet series, novelty gumballs, fruit flavored gumballs and other top sellers such Willy Wonka nerds gumballs. 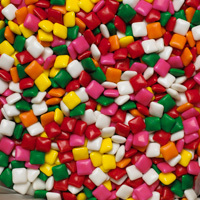 Rest assured you will find all your bulk candy vending needs in our bulk candy and bulk chicles gum selection. Our bulk candy selection includes popular items and top sellers such as Mike N Ike, M&Ms, Skittles, Jelly Beans, Runts and many more. Increase your vending profits with these high quality Bouncy Balls with the lowest price in the market guaranteed. These bouncy balls can be a great replacement of edible vending products if some location do not allow so. 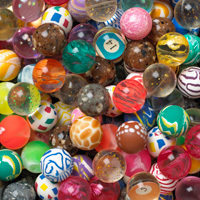 We carry differnt sizes of bouncy balls mainly the 27mm, 455mm, adn 49mm superballs. Our bouncy balls selection range from themed mixes, glow in the dark bouncy balls, to a simple mix of plain colors. We can also provide you with customized bouncy balls where you can fit your own design or logo on. 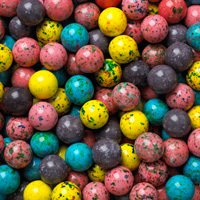 Add variety to your vending location by choosing one of our bulk jawbreakers. You can choose from HOT and cinamony to sour and fruity. These classic jaw breakers can be a great source of additional income for a high volume location.